IXIASOFT, an international software company based in Montreal, has today released the latest version of its component content management software—IXIASOFT CCMS 5.0. The product boasts three key features: UX designed for the light user, content level security, and unique desktop features. IXIASOFT CCMS 5.0 was crafted in response to a need for a simpler, more versatile product that could be used by everyone. 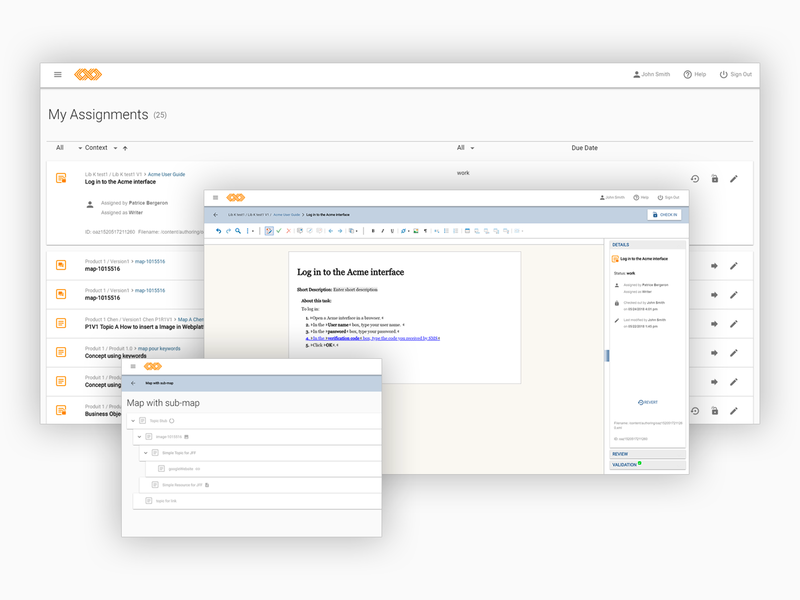 The product provides a seamless light user experience, allowing subject matter experts (SMEs) to be authors—no previous DITA knowledge required. In short, version 5 breaks down the barriers between different teams. Built on top of the Dynamic Release Management (DRM), which allows you to manage multiple versions in parallel and provides another level of structured reuse, content level security ensures confidential content is in the right hands. The feature offers two possible scenarios: the first allows content to be accessed only from some business units while other units remain unaware of its existence, and the second allows a business to share content with other business units in read-only mode. Some new desktop features were inspired by requests in the Evolution Lab—IXIASOFT’S customer collaboration portal. The Evolution Lab is a service unique to IXIASOFT that allows customers to request features, share ideas, and contribute to the evolution of current and future projects. In confluence with the release of CCMS 5.0, IXIASOFT published its new, re-branded website, replete with an in-depth technical documentation section. Information about product packages is available on the pricing page.